Fast-Acting High Performance Coating Remover Epoxy remover! Great for removing most high performance coatings, including epoxies, urethanes and polyureas. Epoxy remover! Great for removing most high performance coatings, including epoxies, urethanes and polyureas. You may know how to strip paint with EasyStrip 1000, but have you tried EasyStrip 2000? 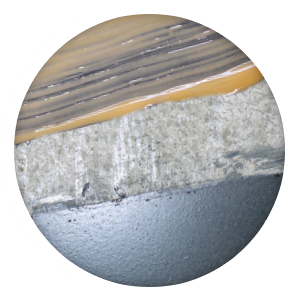 It’s a low VOC, water-based concrete high performance coating and paint remover that lifts epoxies, urethanes, lead based architectural coatings, and powder coatings. Not a graffiti remover or recommended for use on acrylics. 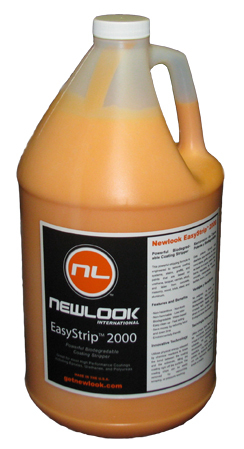 (Use Newlook EasyStrip 1000 as a graffiti remover or acrylic coatings.) Read the respective Technical Information Sheet for more information. Does not affect glass or plexiglass. Any area where abrasive blasting is not an option for environmental, economic or surface damage may be of concern. 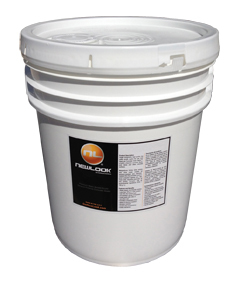 Available in 1 gallon, 5 gallon, 55 gallon, and even 275 gallon tote containers. Coverage is approximately 50 – 100 square feet (5-9 square meters) per gallon..